We have Just Sold out of Super Powers Collection Batman Jumbo Action Figure. Not to Worry! Fill in the Notify me When Available and you will be the first in line for our restock of Super Powers Collection Batman Jumbo Action Figure !! From the Super Powers collection by Gentle Giant. 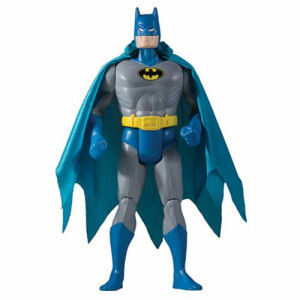 Super Powers Collection Batman Jumbo Action Figure. Digitally scanned from the original Mattel Super Powers figures and reproduced in 12 inch scale. No detail has been overlooked for this jumbo-sized Batman action figure.